Peter Yarrow, Director, of the iconic folk trio Peter, Paul and Mary has long used his international fame to promote social justice. He has worked tirelessly for causes ranging from civil rights to the environmental and peace movements to educational reform. While perhaps most famously associated for penning the classics “Puff the Magic Dragon” and “Light One Candle,” as well as for the hits of his trio such as “Leaving on a Jet Plane” and “Blowin’ in the Wind,” Yarrow’s social activism has put him at the forefront of historically important moments. Peter, Paul & Mary sang “If I Had a Hammer” on the same stage as Dr. Martin Luther King, Jr. delivered his famous “I Have A Dream” speech at the 1963 March on Washington for Civil Rights; he was instrumental in founding both the Newport and Kerrville Folk Festivals, as well as the 1969 March on Washington, which drew over 200,000 people to protest the Vietnam War; and Peter, Paul & Mary has often been a featured performer at Earth Day celebrations. He is also the founder of the bullying prevention nonprofit Operation Respect, which promotes social and emotional learning in schools through leveraging the power of music to make social change. Brian Skerry, Director, is an award winning National Geographic underwater photographer, lecturer, and author who uses his international platform to draw attention to the many environmental problems plaguing the sea and offer hope through stories of the ocean’s resilience. Unique within the field of underwater photography is Skerry’s ability to pursue subjects of great diversity. His nearly year-round assignment schedule frequently finds him in environments of extreme contrast from tropical coral reefs to diving beneath polar ice. While on assignment he has lived on the bottom of the sea, spent months aboard fishing boats, and traveled in everything from snowmobiles to canoes to the Goodyear blimp to get the picture. He has spent more than 10,000 hours underwater over the last 30 years. Skerry frequently lectures on photography and conservation issues, having presented at venues such as TED Talks, Harvard University, the National Press Club in Washington, D.C., and the Royal Geographical Society in London. He is also a regular guest on programs such as NBC’s Today, CBS’s Sunday Morning, and ABC’s Good Morning America and devotes countless hours to marine conservation. Betsey Brewer Bethel, Director, is an executive at Southwicks Zoo in Mendon, MA and executive director and founder of the nonprofit EARTH (Environmental Awareness of Resources and Threatened Habitats), promoting animal conservation and education. Dedicated and educated in animal behavior and wildlife conservation, she has given thousands of lectures to audiences of all age groups. She has made numerous television and radio program appearances including her work on “Growing Up Camel” for Animal Planet. Future plans include spearheading the “Trips to the Tropics” to bring educators and students to Central America where biodiversity and a variety of eco-systems are celebrated and protected. She holds a B.A. degree from Wheaton College and a master of arts degree in Wildlife Conservation Education from Vermont College of Norwich University. Ian Lipson, President, is currently director of client services at Interaction Associates. Ian’s philosophies on youth development through service learning are essential to Ocean Matters and rest on the foundations of his over twenty-five years of experience leadership development and youth development. Ian previously served as a leader at City Year in Boston and as an instructor onboard sailing vessels for Outward Bound at Hurricane Island. He is the author of A Summer of Service, a guide for developing service learning programming published by Work/Family Directions. “I regard it as the foremost task of education to insure the survival of these qualities: an enterprising curiosity; an undefeatable spirit; tenacity in pursuit; readiness for sensible self-denial; and, above all, compassion.” Kurt Hahn, Founder of Outward Bound. Joshua Peck, Director, recently returned from a year of travels throughout Asia, East Africa and the Middle East where he worked with the National Democratic Institute. Prior to that he was the Deputy Director of New Media for the Democratic National Committee and Organizing for America where he oversaw President Obama’s online strategy in the fight for health reform, as well as the President’s presence on social networks, his email communication to millions of supporters, and his website BarackObama.com. He was previously the Senior Director of New Media for ONE, where he directed online strategy, communications and organizing efforts for ONE’s 2.4 million members and also served as Director of Field Technology for America Coming Together and prior to that worked on the Howard Dean Campaign and as a Legislative Correspondent for Representative Steve Rothman. He received his B.A. from Brandeis University. He is an alumnus of an early incarnation of Ocean Matters. Laura Parker Roerden, Executive Director and Founder, has over twenty years of experience in environmental education. She has a masters of education degree from Harvard University and a B.A. from Boston College and is a lecturer and author of many books, curricula and articles on young people’s social, emotional, and ethical development. Laura has designed educational outreach projects for the Corporation for Public Broadcasting, the National Basketball Association, Pokemon USA, Olympians at Athletes for Character Education, Ben & Jerry’s Ice Cream, AT&T, Operation Respect, and the Resolving Conflict Creatively Program, as well as for various film, music and video projects including the Grammy-nominated children’s recording “Changing Channels.” She is the former publisher and managing editor at Educators for Social Responsibility and former managing editor of the magazine New Designs for Youth Development. She has keynoted at BlueMind along with Celine Cousteau and Dr. Helen Reiss and at Mote Aquarium’s Tea for the Sea. Laura currently serves on the board of directors of both Women Working for Oceans (W20), a fiscal partner of the New England Aquarium, as well as Earth, Ltd. of Southwicks Zoo and is a member of the Pleiades Network of Women in Sustainability. Laura has taught marine education in a myriad of settings including traditional classrooms, on decks of science-at-sea programs, and 100-feet beneath the sea on scuba in ecosystems ranging from the rocky intertidal to the coral reef. Cassandra Bergeron, Assistant Director, has been in the water her entire professional career. She is a PADI Divemaster, WSI (Water Safety Instructor) Instructor, CPR Instructor, and was awarded the American Red Cross National Certificate of Merit, the highest certificate of merit for lifesaving, awarded by the President of the Red Cross in 2011. A little known fact about Cassie is that she was formerly a performance mermaid at the Silverton Casino in Las Vegas, where she was also a safety diver. She’s passionate about all animals and has been involved in animal rescue her entire life. She is originally from Texas and holds a bachelors degree in biology from New Mexico State University. Christopher P. Gawle, Director of Marine Biology Education, has been teaching secondary science with a speciality in marine and environmental topics for twenty years. An alumni of an early incarnation of the Ocean Matters program, Chris came back to teach with Laura Parker Roerden in 1996, the summer he graduated from Bates College with a bachelor of science degree in biology. While at Bates, he spent a semester abroad studying coral reef biology and ecology at James Cook University in Queensland, Australia. The experience of doing research on the Great Barrier and learning from some of the world’s foremost coral reef scientists further cemented his desire preserve these magnificent reefs. Chris and Laura co-created a dynamic, student-research-centered curriculum that allowed students to really “try-on” a career in marine science. After seeing how much the program catalyzed and inspired students to want to take action to conserve the reefs, Chris’ life goals shifted from wanting to be a coral reef scientist to wanting to train and inspire the next generation of them. Chris continued to teach coral reef ecology with Laura during the summers as he worked towards a M.S. in Marine Science (University of Charleston, SC, 2002). Chris’ graduate research focused on the impact of coastal watershed development on the biological, chemical, and physical attributes of tidal creeks. In 2002, Chris was was hired by Charlotte Country Day School (CCDS) and he has been inspiring students there ever since. He has taught a wide range of environmental science, marine science, and biology courses. He and his students have been monitoring the water quality of a local urban stream and researching the abundance of a keystone snail species in Charleston, SC marshes since 2004. Chris earned several teaching awards during his tenure and he developed a biodiversity themed summer school program to explore the Osa Peninsula and rainforests of Costa Rica. Chris has also chaperoned student summer programs to Germany and traveled to the Galapagos to follow in the footsteps of Darwin. 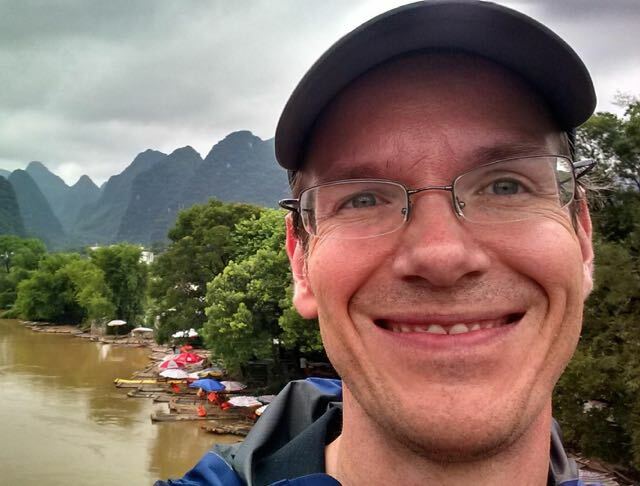 In 2015, Chris spent six weeks exploring China and serving as an exchange teacher in Nanjing, China. Chris continues to be a passionate advocate for environmental and social justice causes worldwide. Dr. Jessica Hanson, Director of Education, has been enthralled with science and teaching for decades. After graduating from Dartmouth College with a degree in Biology, she worked briefly in the biotech industry before returning to school to earn her Masters in Education at Harvard. She taught numerous high school science classes before heeding the call to return to the classroom as a student. At the University of California she studied environmental microbiology, focusing on bacteria that can be used to clean up toxic environments. 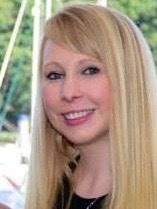 While completing her PhD, Jessica continued to work with high school science students as a volunteer, and upon graduating returned to pre-college teaching full-time. In the years since she has helped start a school, taught both middle and high school science classes, worked as an academic dean and served as a middle school principal. Throughout her career she has committed herself to helping students experience the wonder—and hard work—of being scientists. Laura McCallion, Director of Dive Education,is a PADI Course Director, the highest level of professional dive certification available. Laura has a passion for the ocean and the underwater world that began at a very early age. She was certified in the very cold waters off of Gloucester, Massachusetts over twenty years ago and despite the near freezing temperature and the fact that it was snowing, she has been addicted to scuba diving since. Since starting to teach diving in 2000, Laura has introduced hundreds of students of all ages to the amazing and wonderful underwater world of diving both in cold and warm water environments. Watching the expression on a new diver’s face when he breathes underwater for the first time or achieves something he wasn’t sure he could really do or when he encounters a marine creature he’s never seen before always reminds her of why she became an instructor in the first place and why she will continue to teach as long as possible. She has a special passion and talent for teaching diving to young people. Peter G. Lewandowski, Assistant Director of Dive Education, is a PADI Staff Instructor with specialties in Deep, Dry Suit, Peak Performance Buoyancy and Wreck Diving specialties, to name a few. 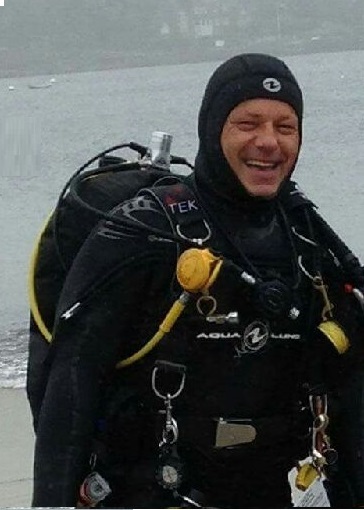 Peter started his career in the cold waters of New England and found a passion and love for being in the water and exploring the oceans that lead him on the path to becoming a Divemaster and eventually a Staff Instructor. He has traveled extensively from the Pacific to the Indian Oceans exploring remote locations, which has created a deep love for the ocean and the environment and for preservation of our water world. He enjoys teaching students and seeing the reaction on their faces when they take that first breath underwater and later as they continue to explore their possibilities. He hopes to create future ambassadors for the ocean environment. “I feel being in the ocean is like being an early explorer. The location you are in at that moment on that dive has never been seen by another person. You are the first explorer to view it,” Peter explains. “That speaks to vastness of the oceans and the potential we still have for its exploration, which I wish to instill in people so they have the same passion and love for the ocean that I do.” When asked where the best place is that he has have dove, he always responds: “find me a puddle deep enough and I will dive it.” The ability to explore is the drive that I want to instill in people to expand their view of this vast water world, and to connect them to the wonders that it holds and the need to protect it for all of us. Ariana Liuzzi, Marketing Manager, is originally from Long Beach, CA and has always been an ocean enthusiast. After moving to the Las Vegas desert, Ari joined the local synchronized swimming team as a way to cope with living so far from water. As a synchronized swimming, Ari travelled all over the country competing and became nationally ranked. At the age of 18 she started working as an aquatic performer at the Silverton Casino’s aquarium in Las Vegas, NV. 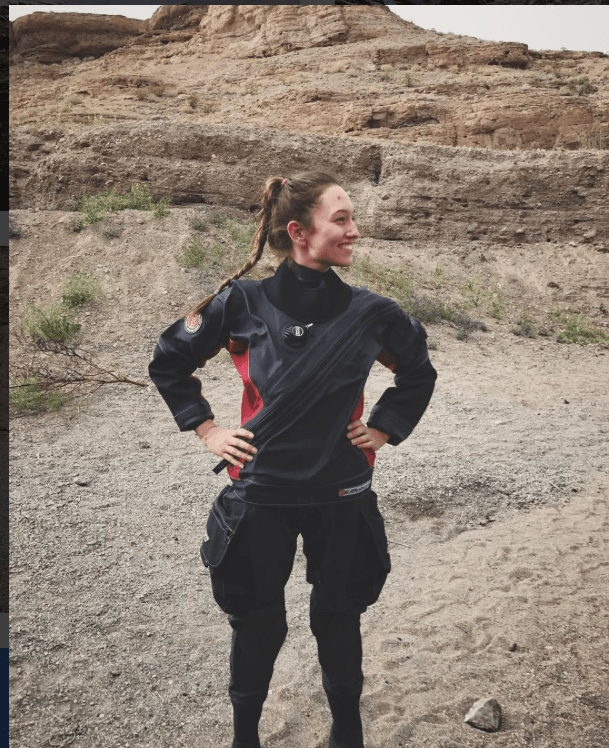 In addition to being a performer and safety diver, she became a full time biologist and aquarist at the 117,000 gallon saltwater aquarium where she is responsible for the different marine animals ranging from tropical fish, stingrays and even sharks! Ari has always had a passion for writing and she earned her bachelors degree in Journalism. She feels fortunate to be working with Ocean Matters, tying in her degree with her true passion of Marine Biology. Ari is PADI dive master certified. Ocean Matters is 501(3)c nonprofit corporation and donations are tax-deductible as outlined by law.